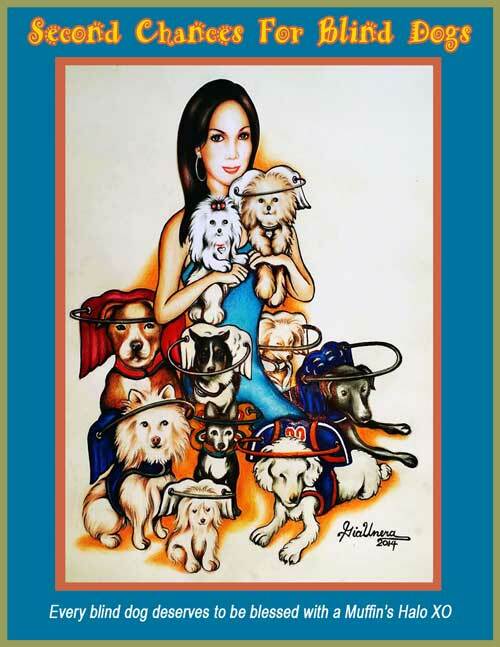 "Reserve your Muffin's Tribute 2019 Calendar now. 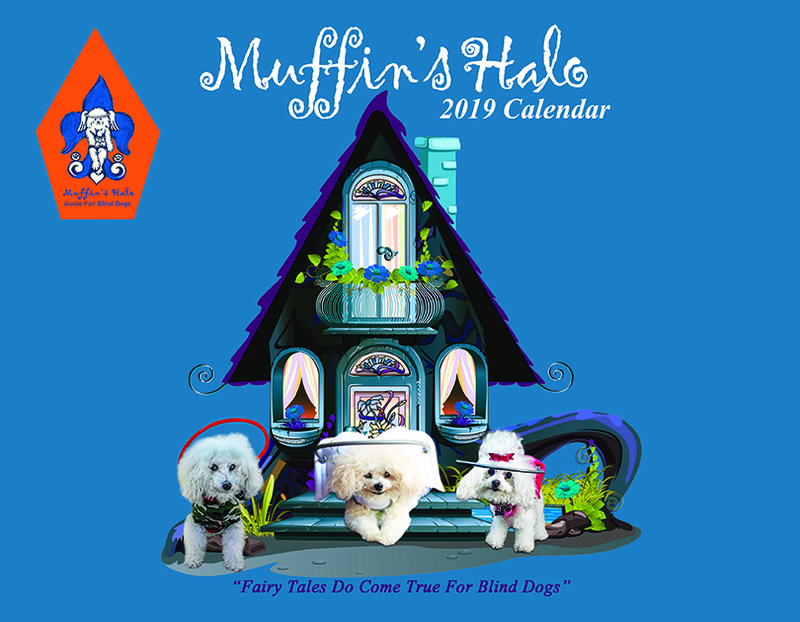 Also featuring over 350 of his blind dog friends"
All proceeds benefiting Blind Dogs in need of Muffin's Halos to navigate bump-free and have a good quality of life. Use "Other" Option to specify your donation amount. TO DONATE PLEASE CLICK BUTTON BELOW.